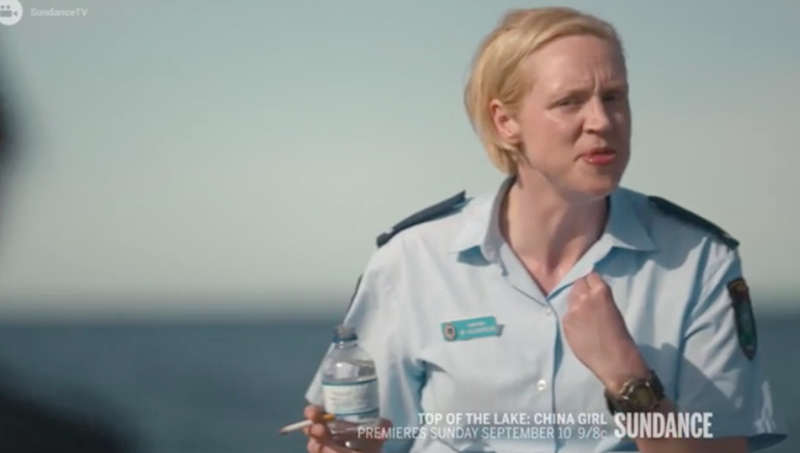 Even though it seems like those photos of Nicole Kidman in Jane Campion drag were released eight or 10 years ago, and that she went on to win an Emmy and a BAFTA and whatever the hell else a person can win for giving piercing glances and the occasional quiet, simmering monologue, the series for which she donned the look, Top of the Lake: China Girl, has yet to premiere. Gwendoline Christie (GoT’s Brienne) screaming, “I’M THE ONE THAT CARES!! !” while clutching a water bottle and a cigarette in the same hand. Can We Talk About How Damn Good Top Of The Lake Is?